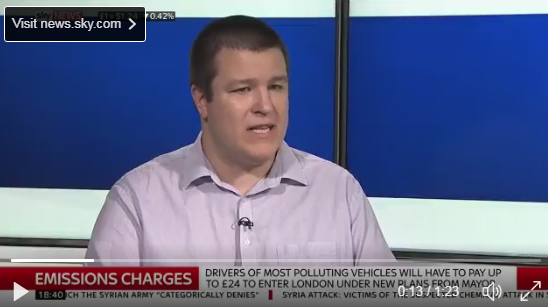 On Tuesday 4th April 2017, James Rowe our Finance Director was invited to talk on Sky News to share his thoughts on the current air quality standards in London and the Mayor’s proposals to tackle the city’s air pollution crisis. Mayor Khan has accelerated his plans to introduce the ULEZ in central London from April 2019 – 6 months earlier than expected. This means drivers will pay an additional £12.50 on top of the existing congestion charge, while buses, coaches & other heavy vehicles will pay (a total of?) £100. To add to that, the ULEZ zone will expand from Central to Greater London in 2020 and in 2021 increase again to encompass everything inside the North and South Circular perimeter roads. With the number of diesel cars in the city rising, despite test results showing a direct link to damaging public health, City Hall hopes the move will result in a 50% drop in emissions by 2020. According to the Evening Standard, TfL figures show that black taxis are currently responsible for 18% of NOx emissions in central London. Mayor Khan’s latest initiatives focused on tackling use of Diesel fuel and are an acknowledgment that a focus on carbon dioxide emissions in the 2000s, ignored the arguably more serious pollutants of Nitrous Oxide. 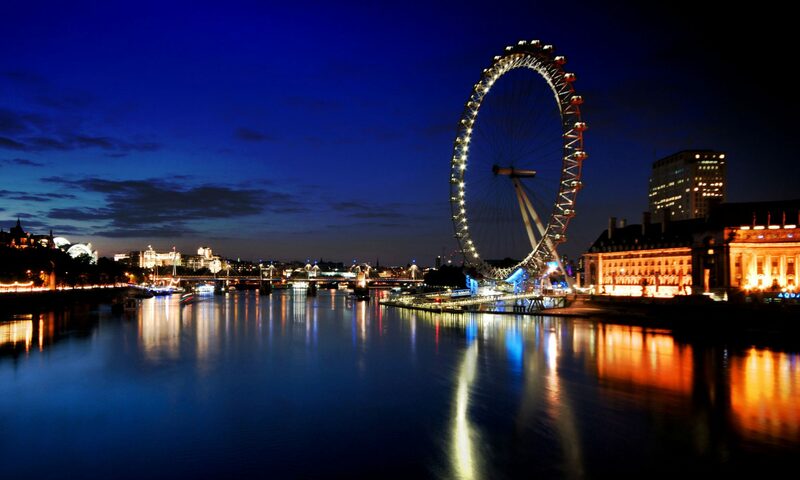 Our company was founded in 2006 by two visionaries seeking to create London’s first ethically driven and environmentally focused ground transportation company. At a time when government-backed initiatives were increasing the pollution issue by indirectly endorsing Diesel, greentomatocars made a bold move by creating London’s first hybrid (and therefore low-emitting) private hire fleet. Today we recognise that being a trailblazer means to continually push the boundaries and living out our core values and ethics. In 2015 we decided not to renew any of the leases on our Diesel emitting vehicles. In 2016 we added London’s first hydrogen fuel cell private hire vehicles (Toyota Mirai) to our electric options (Tesla Model S). In 2017 we fully intend on making a decisive change to steadily increase our fleet of zero emissions vehicles. The main barrier to making this change more quickly is the manufacturers’ ability to supply suitable vehicles for our industry and a failure to date, to establish a properly funded and structured plan to augment EV charging infrastructure in our capital city. We are also exploring other avenues in which we can raise awareness about air quality and push for change across our city. In 2016 Mayor Khan channelled the rationale for the 1956 Clean Air Act “Just as in the 1950s, air pollution in London today is literally killing Londoners. But unlike the smoky pollution of the past, today’s pollution is a hidden killer,” he said. This is why although we absolutely back Mayor Khan’s proposals, they only validate what we were already doing. In an industry which directly contributes to the pollution problem, we believe we have a responsibility to go beyond the statutory requirements and be standard bearers for positive change. 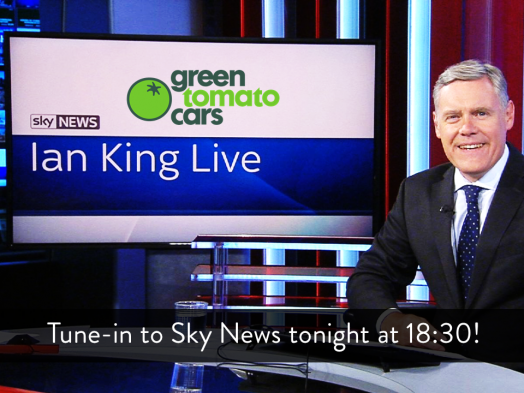 Join our push and book an eco friendly taxi ride today!